A huit heures en ce lundi matin, l’autocar Greyhound quitte la gare routière de Port Authority à New York, et nous arrivons à l’heure à Boston vers midi et demie, après un voyage confortable et sans problème d’environ 340 kilomètres. At 8 AM on this Monday morning, the Greyhound coach leaves Port Authority bus station in New York, and we arrive on time in Boston at about half past 12, after a comfortable eventless 340-kilometre journey. La gare routière South Station de Boston est très grande, propre et pratique. 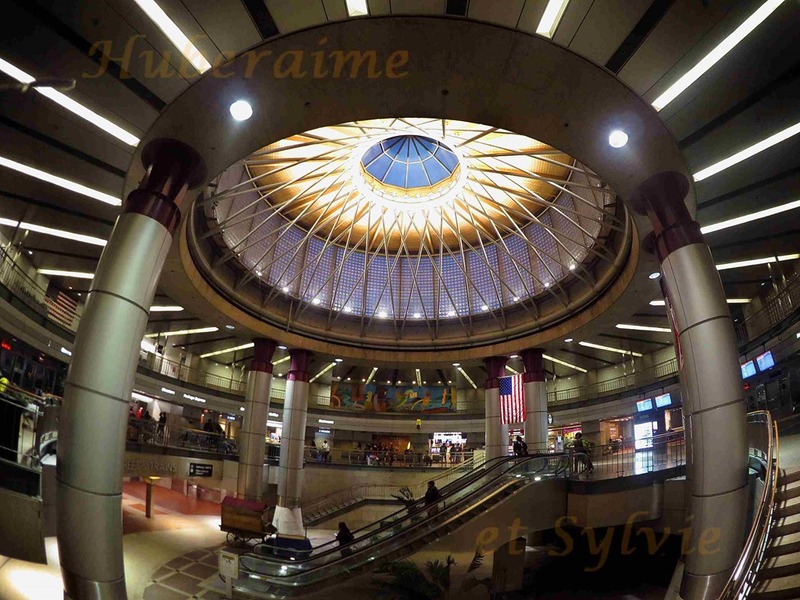 Je commence par un casse-croûte au McDonald’s dans le grand hall avant de m’élancer à la découverte de la capitale du Massachusetts. 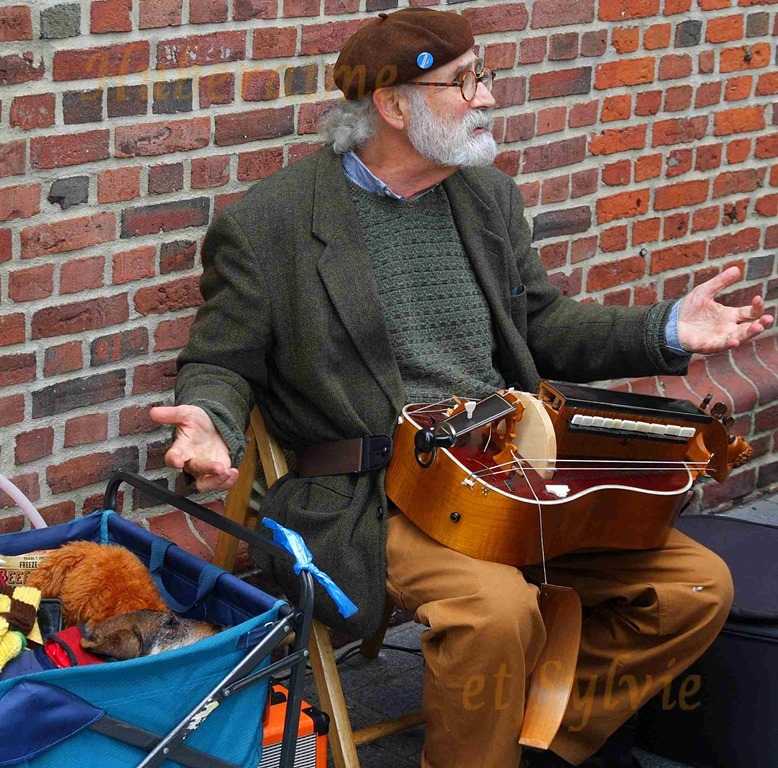 Cliquer sur les images pour les agrandir. Boston South Station is very large, clean and convenient. I start with a snack at the McDonald’s in the bus station great hall before beginning the visit of the capital of Massachusetts. Click the pictures to enlarge them. Je me rends d’abord à pied au jardin public appelé Boston Common, point de départ du Freedom Trail que je vais parcourir dans les deux sens. 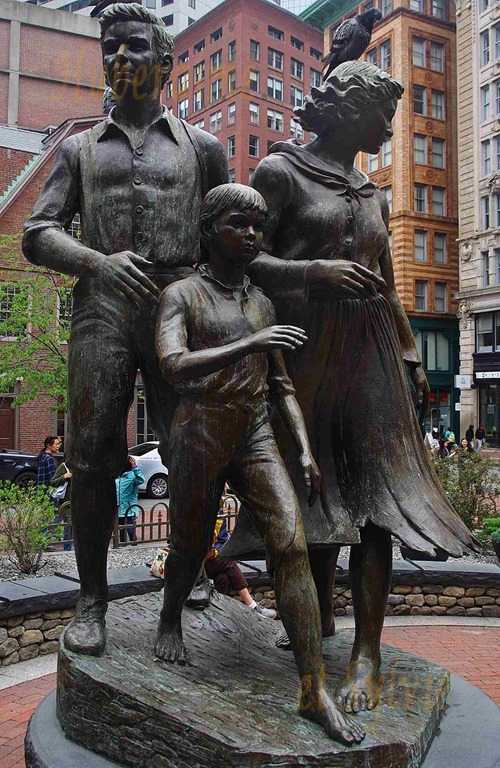 Ci-dessus, la Old South Meeting House domine le Irish Famine Memorial (à droite). 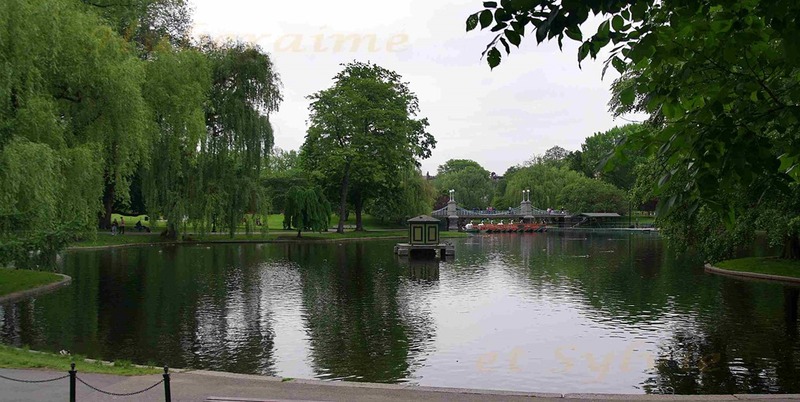 I first walk to the public garden called Boston Common, the starting point of the Freedom Trail I’ll be covering in both directions. 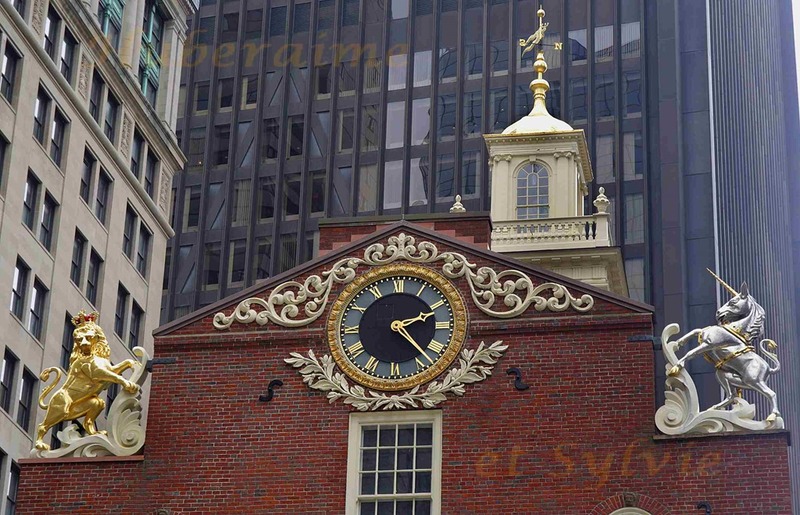 Above, the Old South Meeting House towers above the Irish Famine Memorial (right). 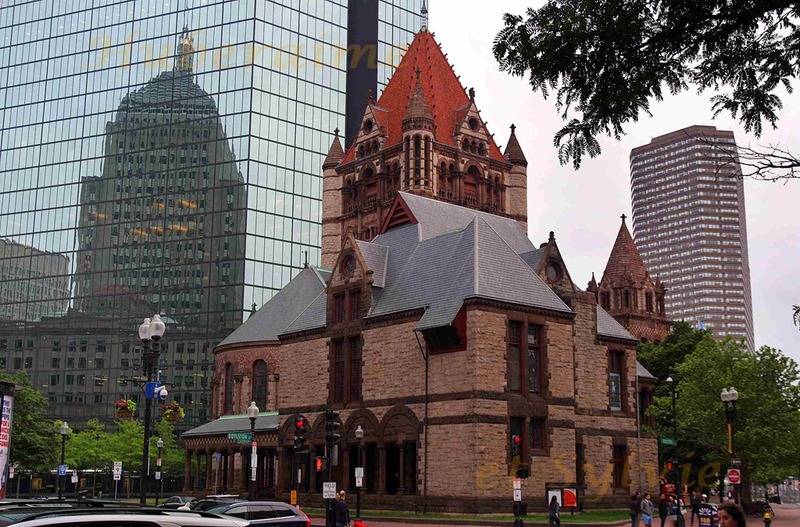 Boston, une des villes les plus chargées d’histoire des Etats-Unis, est bien une cité américaine avec ses gratte-ciel qui s’avancent jusqu’au centre-ville. Ci-dessus et ci-dessous, la Old State House. 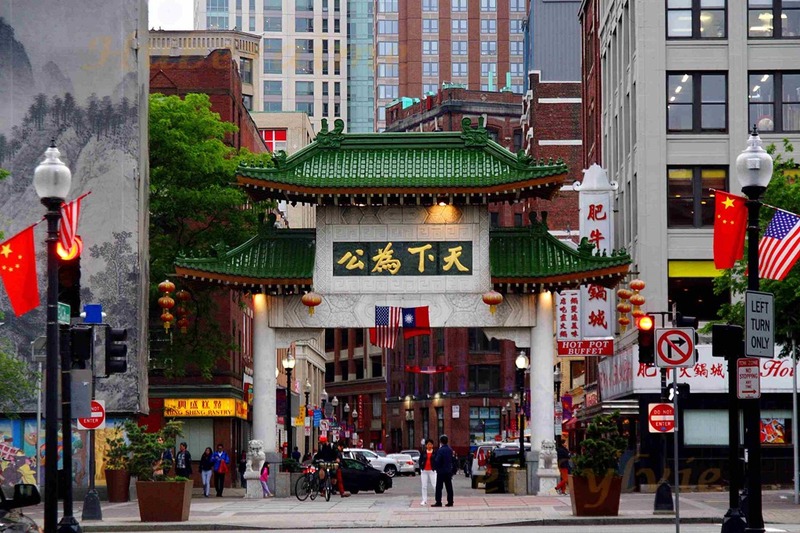 Boston, one of the most history-laden towns in the United States, is really an American city with its skyscrapers moving forward up to the centre. 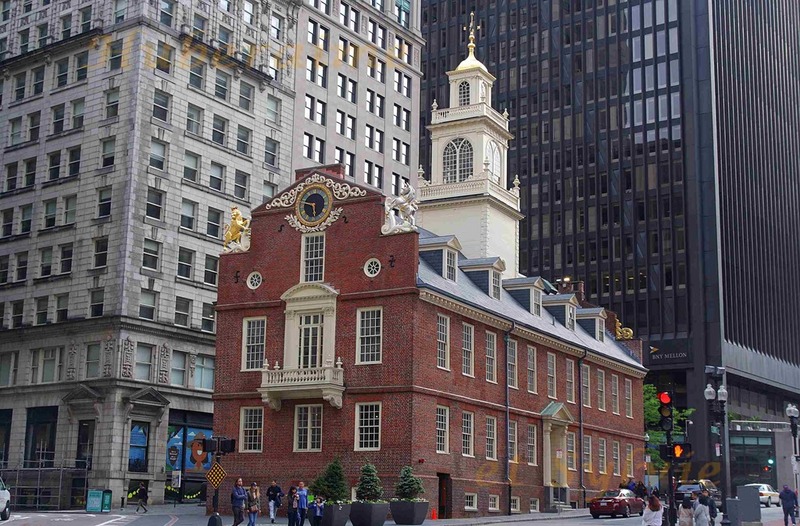 Above and below, the Old State House. 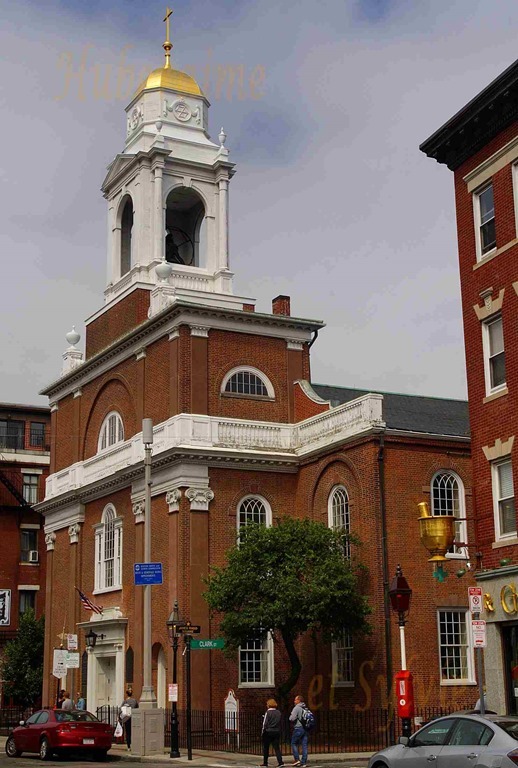 Faneuil Hall (ci-dessus – above). Des tavernes anciennes accentuent le caractère assez British de la plus grande ville de Nouvelle-Angleterre. 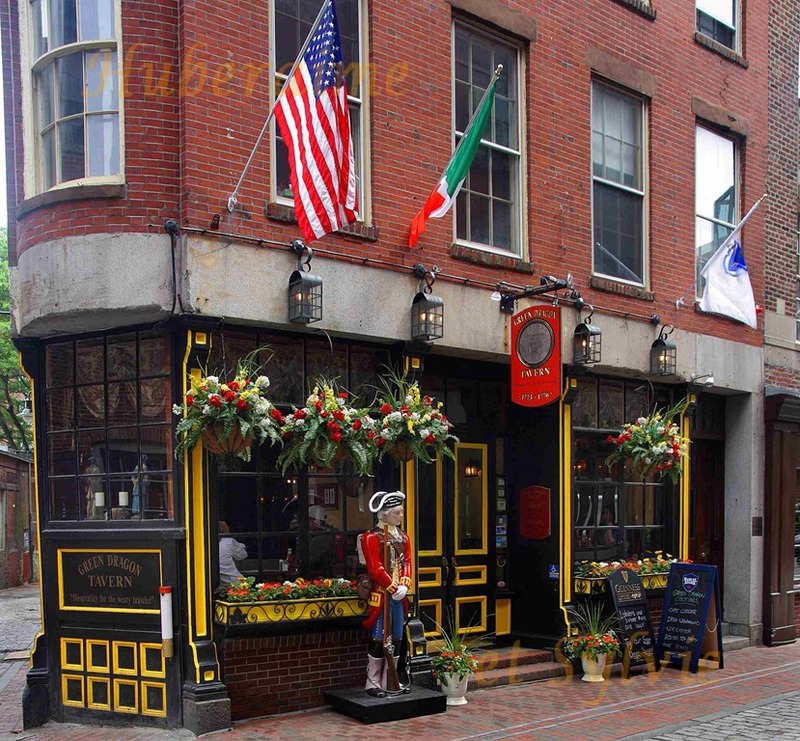 Old pubs accentuate the fairly British character of New England’s largest city. L’église St Stephen. St Stephen’s Church. Le ciel restera couvert toute la journée, c’est dommage, mais le soleil tentera tout de même quelques petites percées, sans grand succès, comme ici au cimetière de Copp’s Hill. The sky will remain overcast all day long, it’s a pity, but the sun will attempt all the same small breakthroughs, of little avail, like here in Copp’s Hill Burying Ground. Le faubourg de Charlestown commence au-delà de la Charles River. A droite, le navire USS Constitution. En fait, il n’est pas si facile de suivre les briques rouges qui marquent au sol le Freedom Trail, car ces traces sont très souvent interrompues par des travaux plus ou moins récents. 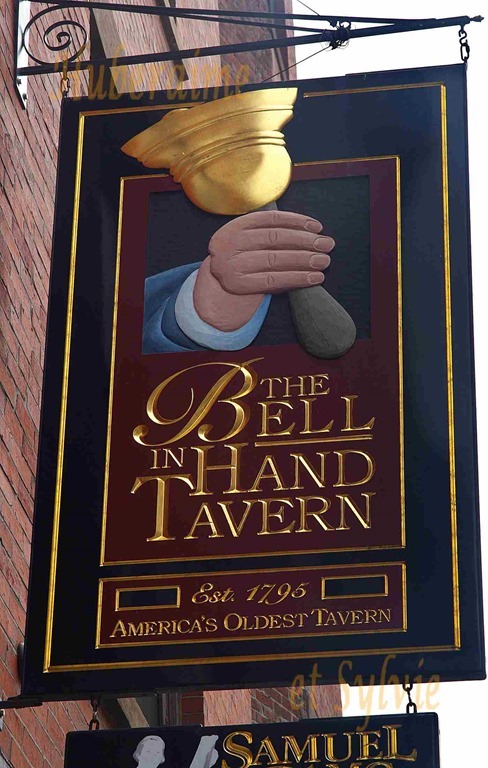 Charlestown suburb starts beyond the Charles River. 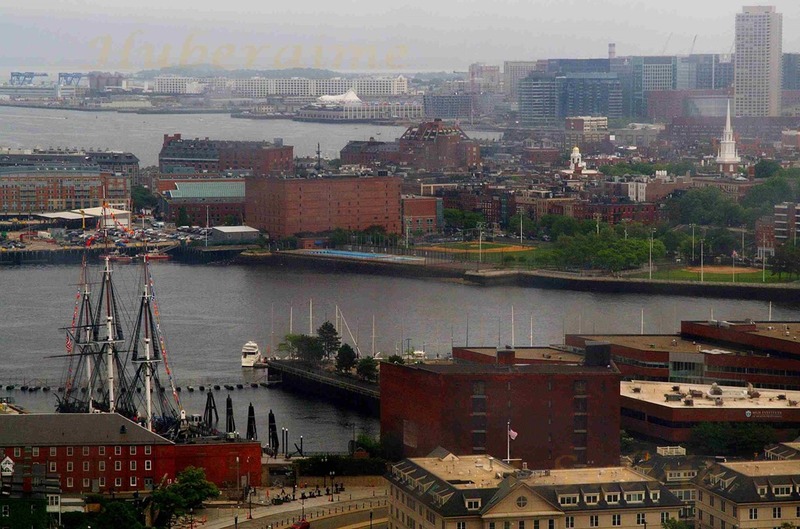 On the right, the ship USS Constitution. Actually it’s not that easy to follow the red bricks which indicate on the ground the Freedom Trail, for this marking is very often interrupted by more or less recent roadworks. 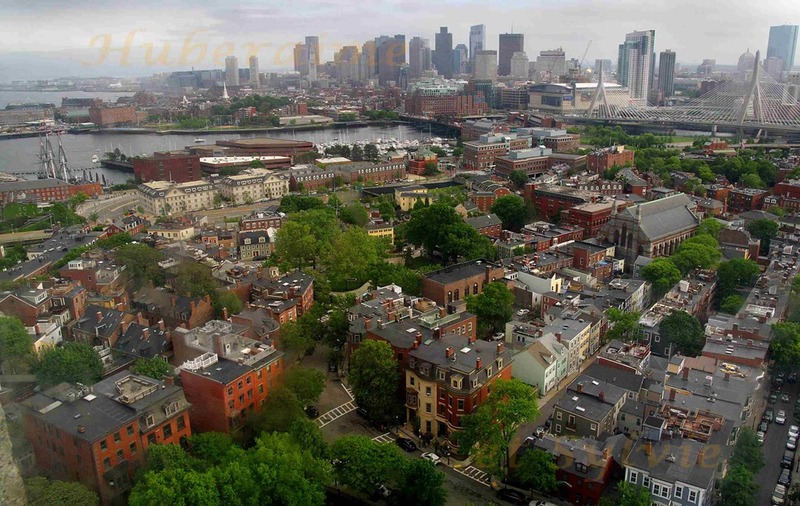 Un grand obélisque se dresse sur la modeste colline de Bunker Hill. On peut y monter gratuitement par un raide escalier en demandant d’abord un ticket au musée en face. 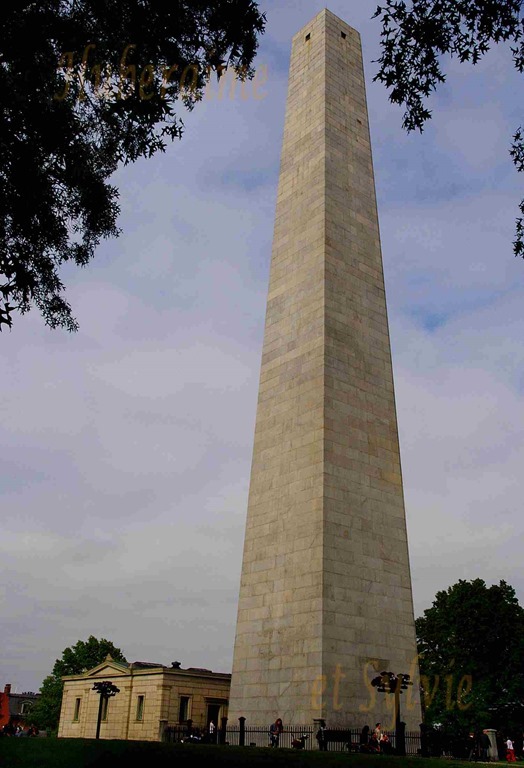 A tall obelisk stands on the mound called Bunker Hill. One can climb up the steep staircase with a free ticket one asks for at the nearby museum. Depuis le sommet de l’obélisque, la vue est intéressante de tous côtés mais le ciel gris et triste ainsi que les vitres sales ne mettent guère le panorama en valeur. From the top of the obelisk, the view is interesting in all directions but the grey and sad sky as well as the dirty window panes hardly enhance the panorama. Je reviens sur mes pas et m’arrête devant la Massachusetts State House. 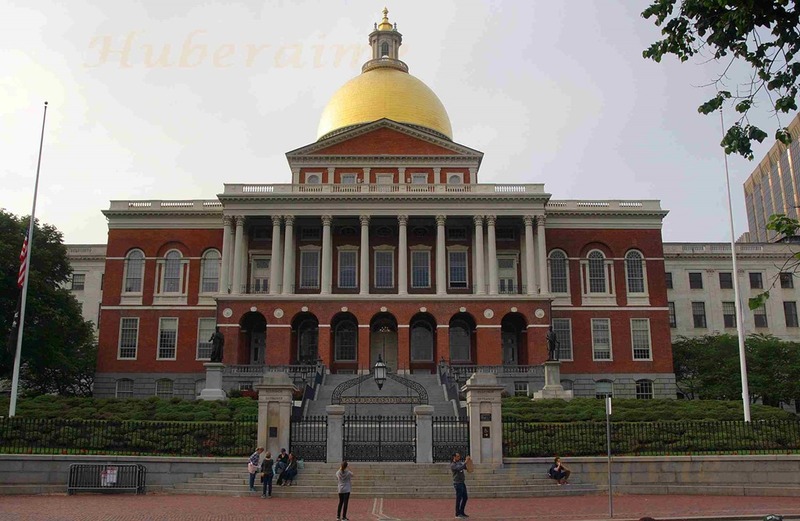 I retrace my steps and stop in front of the Massachusetts State House. Louisburg Square, dans le quartier de Beacon Hill, rappelle beaucoup l’Angleterre, mais rien d’étonnant à cela. 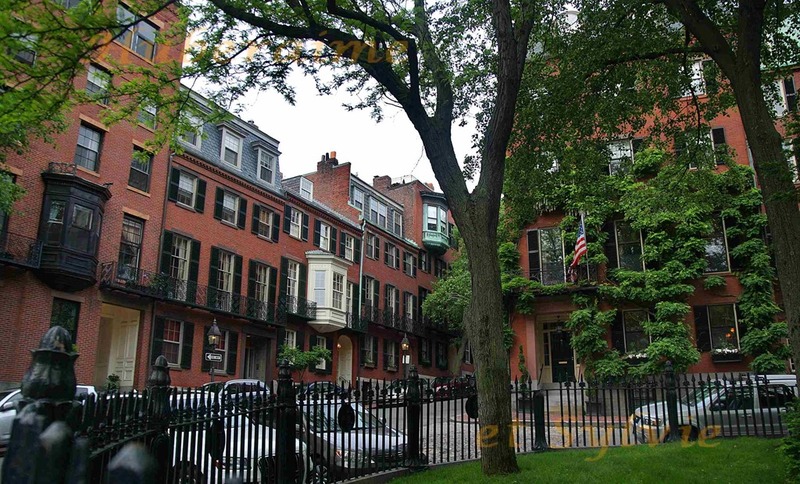 Louisburg Square, in Beacon Hill district, is very reminiscent of England, but nothing strange about this. Plus typiquement américain et tiré au cordeau est le secteur de Trinity Church. 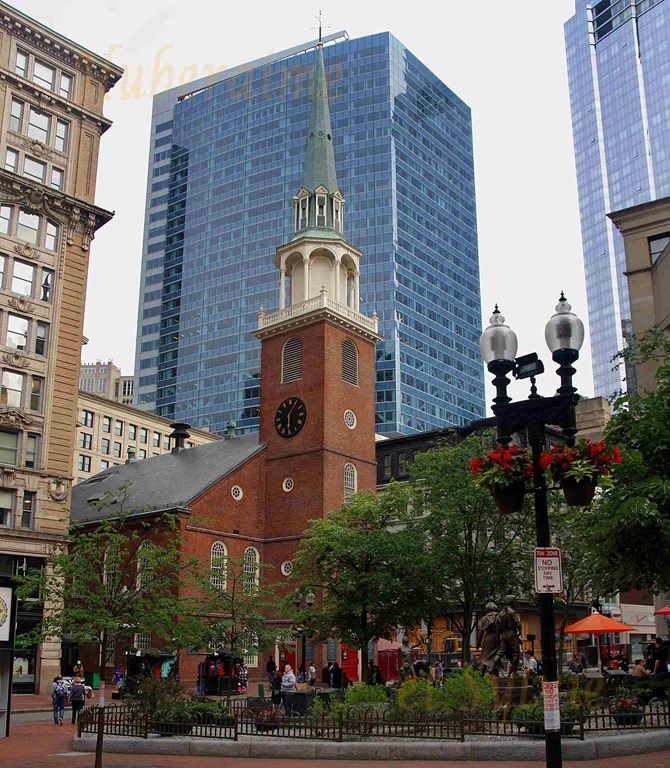 More typically American and as straight as a die is the quarter of Trinity Church. Le Jardin Public. The Public Garden. En début de soirée, dirigeant mes pas vers South Station, je passe par le quartier chinois qui s’ouvre par une belle porte typique. Je casse à nouveau la croûte au McDo de la gare routière, en attendant mon autocar Megabus pour Washington qui partira à l’heure peu avant minuit. 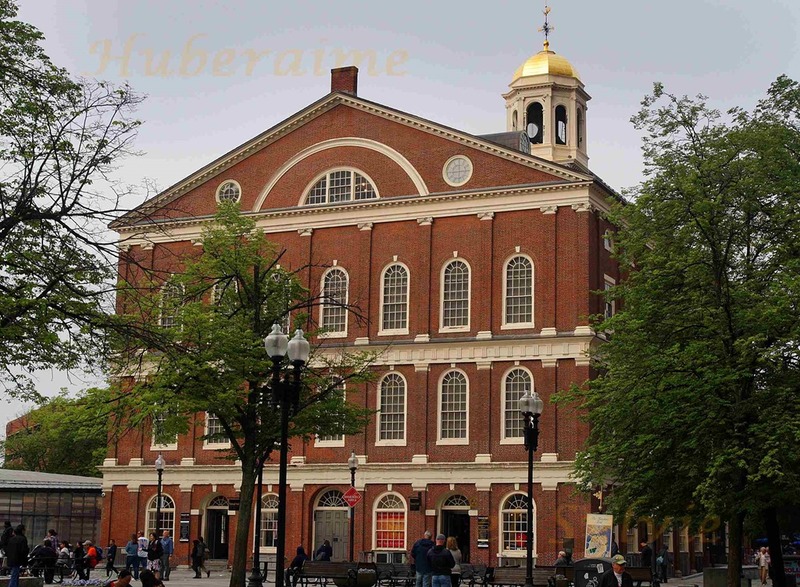 This entry was posted in Boston, Etats-Unis and tagged Chinatown, Etats-Unis; Boston; 2018; Hubert Tabutiaux; Huberaime; gare routière South Station; Massachusetts; Freedom Trail; Old South Meeting House; Irish Famine Memorial; Old State House; Faneuil Hall; Nouvel, Jardin Public. Bookmark the permalink.